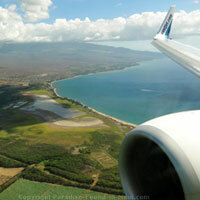 Monthly Maui Events and Festivals: And They're All FREE! 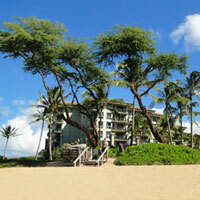 The great thing about all of these monthly Maui events is that admission to all of them is absolutely FREE! Also, since these events all recur at least once per month, no matter what time of year you're looking for fun things to do in Maui, you'll probably be able to attend at least one of these! There are 4 towns in Maui that put on a free monthly street fest: central Maui's Wailuku, upcountry's Makawao, south Maui's Kihei, and West Maui's Lahaina. Admission is free, and it's lots of fun mingling with the island residents, soaking in the live entertainment, browsing the local merchandise for sale, and trying out the local food! 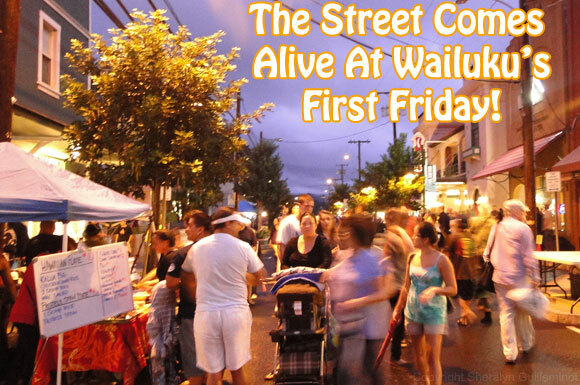 Click here for full details and directions to Wailuku First Friday! 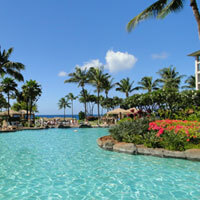 On the second Friday of every month, head over to Campbell Park in Lahaina for fun times from 6-9 p.m! Directions to Campbell Park: It's located on Front Street, next door to the Baldwin Home Museum, and right across the street from the Pioneer Inn. 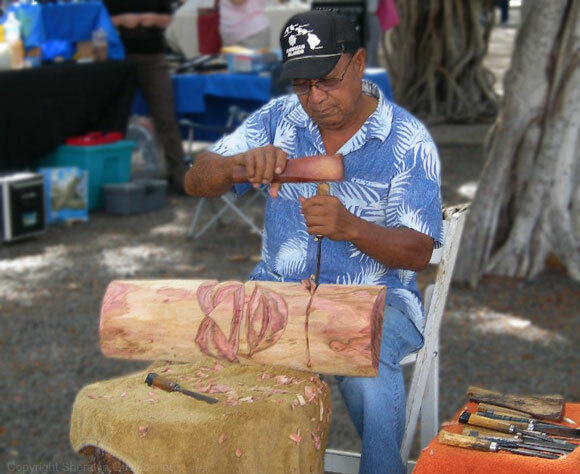 Makawao's street fest takes place a bit earlier than the others - you'll find it from 5-8 p.m. Unlike the others, there is no road closure for this one... not that they need it - it's a small cowboy town, and there isn't really too much traffic to begin with. Kihei's Fourth Friday street festival takes place predictably, on the 4th Friday of every month! Just head over to Azeka Shopping Center at 1279 South Kihei Road from 6-9 p.m. 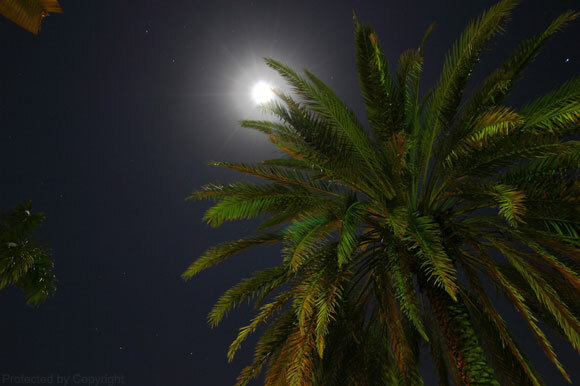 Relaxing to the sound of Hawaiian music under the stars is a great way to spend an evening on Maui! The Hawaiian Music Series is a free outdoor concert that is put on once a month at the historic Baldwin Home Museum in Lahaina (corner of Dickenson and Front Street) from 6 p.m. to 7:30pm on the last Thursday of every month. Seating is limited, so feel free to bring along your own chair, mat or picnic blanket to sit on! This is one of those Maui events that is perfect for art lovers, or those looking for unique souvenirs in memory of their trip to Maui! 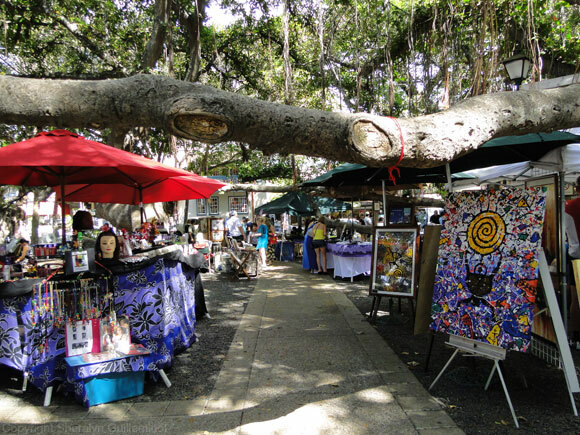 The Lahaina Arts Society Fine Art Fairs feature local artists and their wares - ceramics, paintings, jewelry, photography and more. The art fairs take place on approximate 2 weekends per month - sometimes on both the Saturday and Sunday, other times it's only for a single day.